My 2 1/2 year old wouldnâ€™t get off of the stroller! 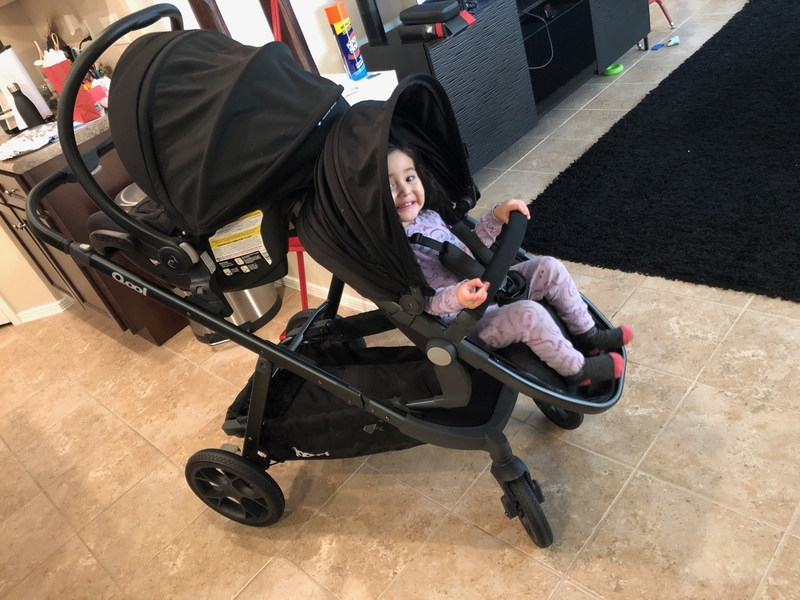 She loved it more than our stokke and we needed a stroller that would hold both our newborn and 2 year old. ProsWe loved that there was so many ways to put the car seat and the regular seat . 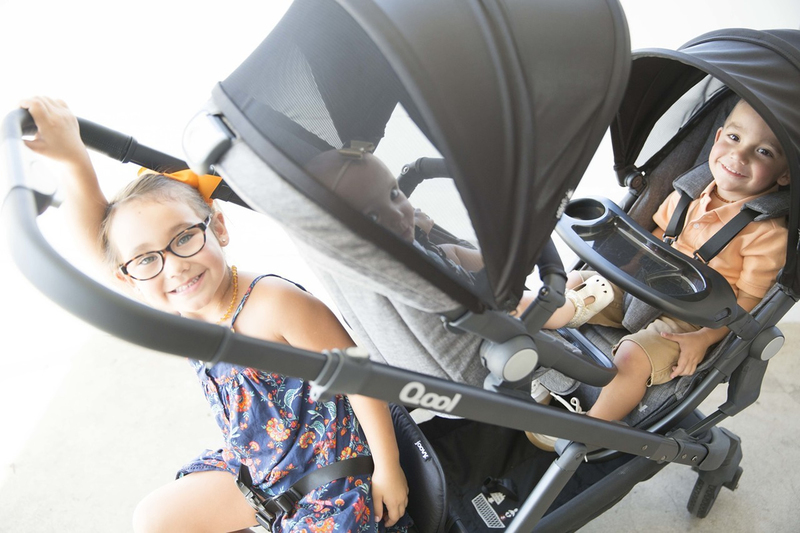 The Qool is a premium, more accessible version of this style stroller offering more features and over 50 configurations. With four out-of-the-box, you get more than the competition offers from day one. You can position baby facing out to see the world or looking at you in high or middle seating levels. 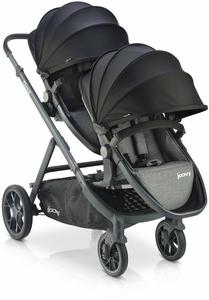 For naps-on-the-go, baby rides comfortably in the reclining cushioned seat. 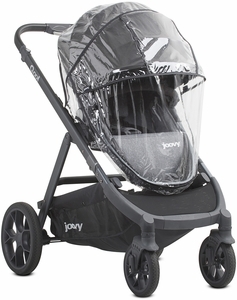 The stylish expandable canopy is fully adjustable, and baby will be visible through a unique mesh window providing 180-degree visibility. 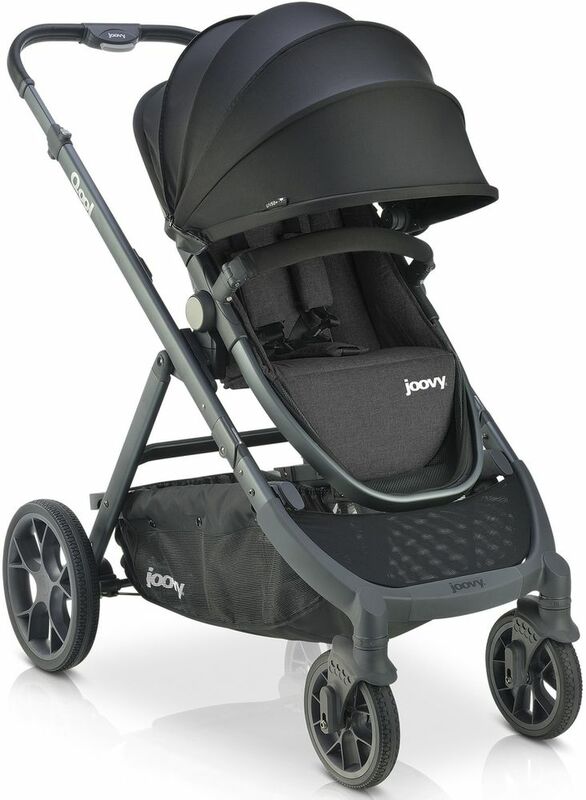 Joovy's got you covered as baby grows with more weight capacity. Each seat carries up to 55 lbs. 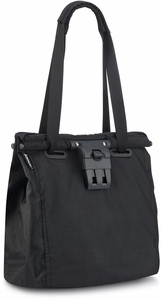 and the stroller can carry up to 135 lbs. 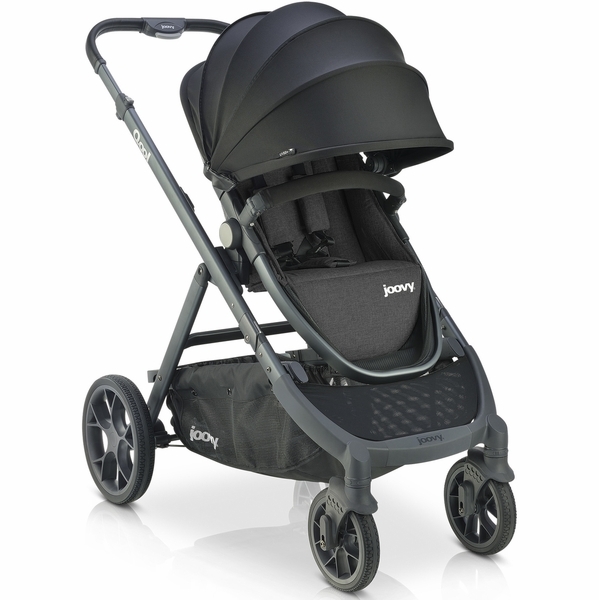 You’ll experience the smoothest stroll with the best of everything including rubber tires, sealed bearing wheels, front wheel suspension and a telescopic, leatherette handlebar. Larger wheels and tire contact area give a feeling of enhanced stability for more traction and responsiveness. You’ll have better momentum with less effort which makes the Qool easier to handle, especially going up curbs and navigating bumpy terrain. 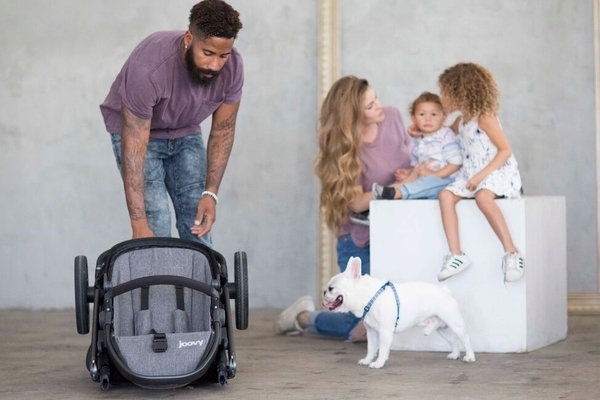 Life happens fast and convenient accessories allow you to customize your Qool to create the perfect ride, especially as your family grows. 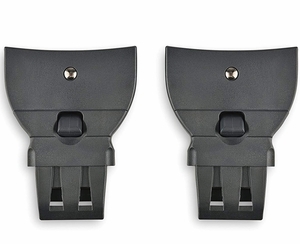 The Qool easily converts from a single to a double or triple with simple click-in functionality that provides flexibility and quick customization. 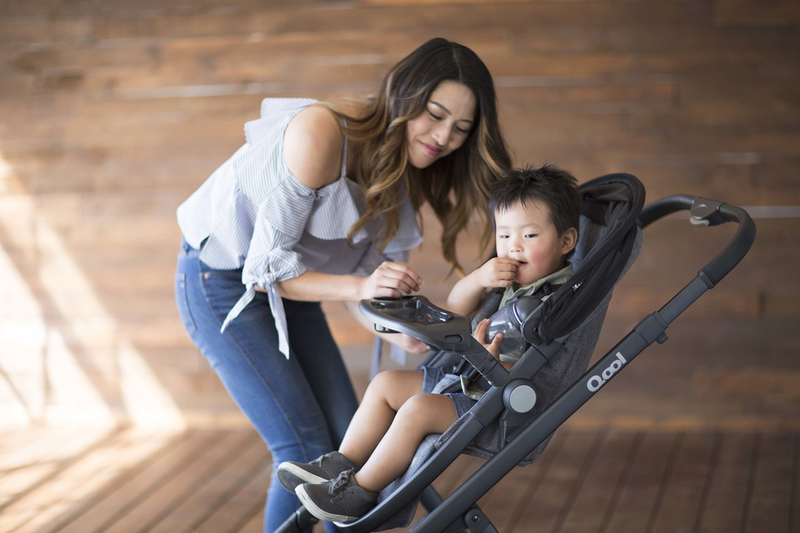 Create the perfect way to stroll with infants by adding the Bassinet or Car Seat adapters in multiple positions or add two for twins. 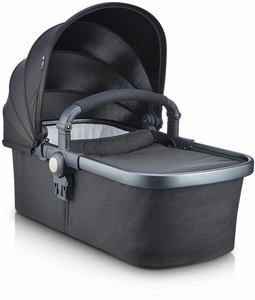 Baby sleeps soundly in the ultra-soft bassinet while laying completely flat. 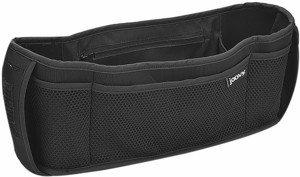 You’ll love the convenience of the Car Seat Adapters, compatible with 10+ car seats, to create a travel system for smooth transitions from car to stroller. Your growing toddler loves to walk, but we all know what comes next. At the first, “I’m tired” you’ll be so happy for the Bench Seat. 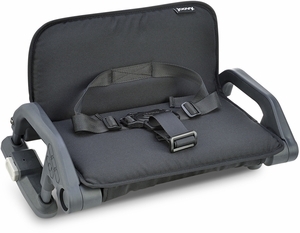 This seat has click-in installation and accommodates a child from 2.5 years up to 55 lbs.